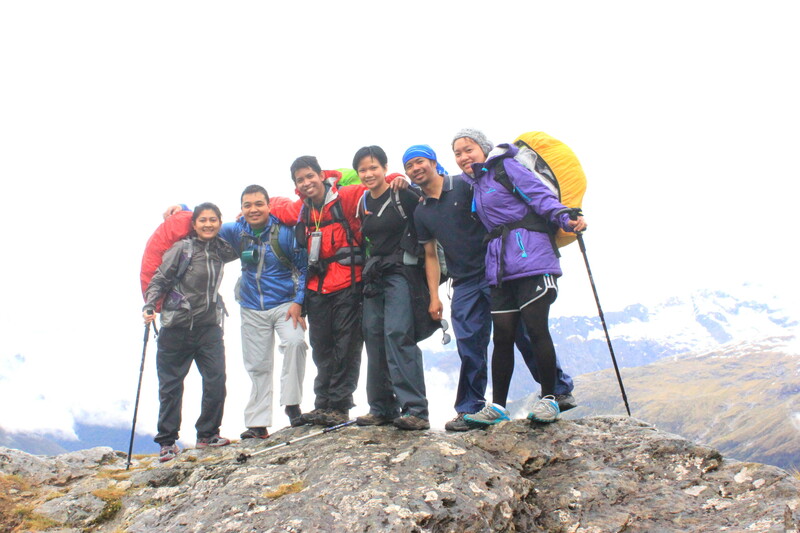 The Routeburn Track is a world-renowned tramping (hiking) 32km track found in the South Island of New Zealand. 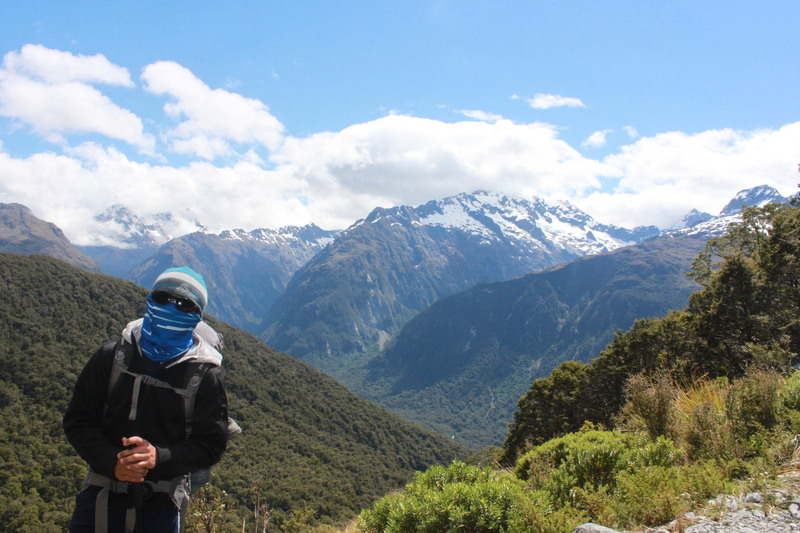 The track is usually completed by starting on the Queenstown side of the Southern Alps, at the northern end of Lake Wakatipu, and finishing on the Te Anau side, at the Divide, several kilometres from the Homer Tunnel to Milford Sound. 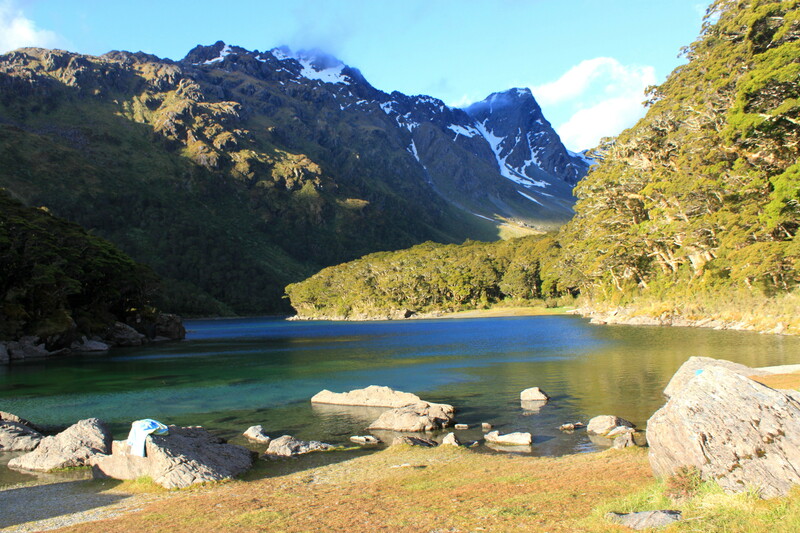 The New Zealand Department of Conservation classifies this track as a Great Walk and maintains four huts along the track: Routeburn Flats Hut, Routeburn Falls Hut, Mackenzie Hut, and Howden Hut; in addition there is an emergency shelter at Harris Saddle. 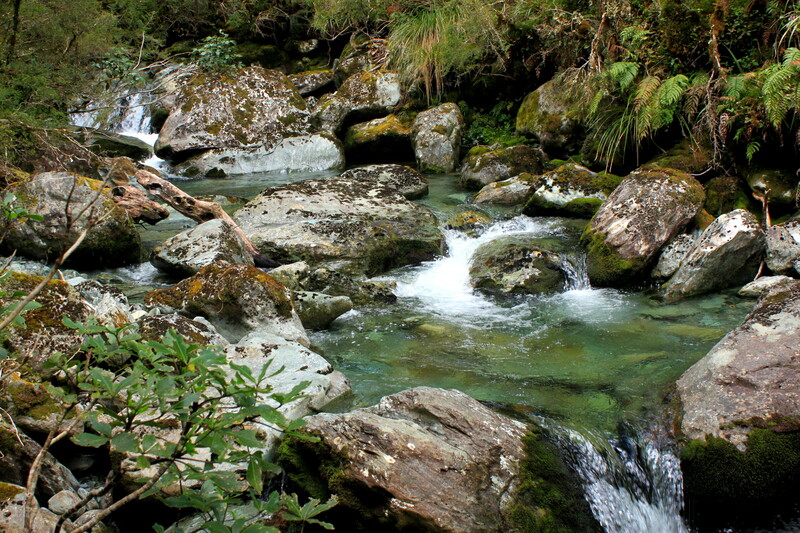 The track overlaps two National Parks; the Mount Aspiring National Park and Fiordland National Parks with the border being Harris Saddle. 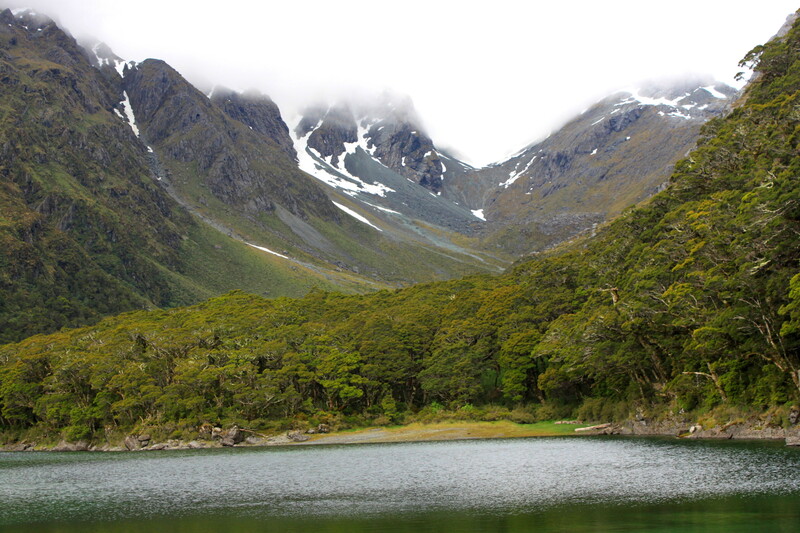 This area gets much less rain than the Milford Sound, and the forests are very different, especially on the eastern side of the saddle, which due to less rainfall is predominantly made up of New Zealand red beech and mountain beech, with relatively few ferns. 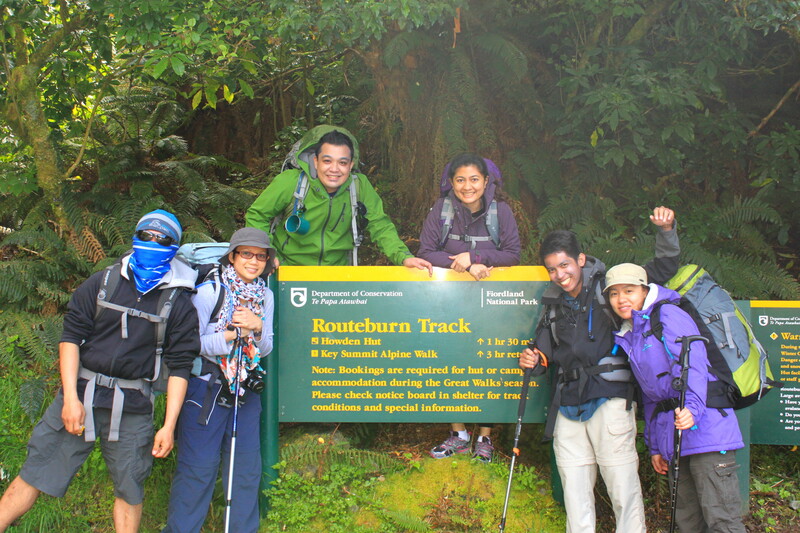 The track spends a long time on the high ridges around Harris Saddle, with great long-distance views in many directions. 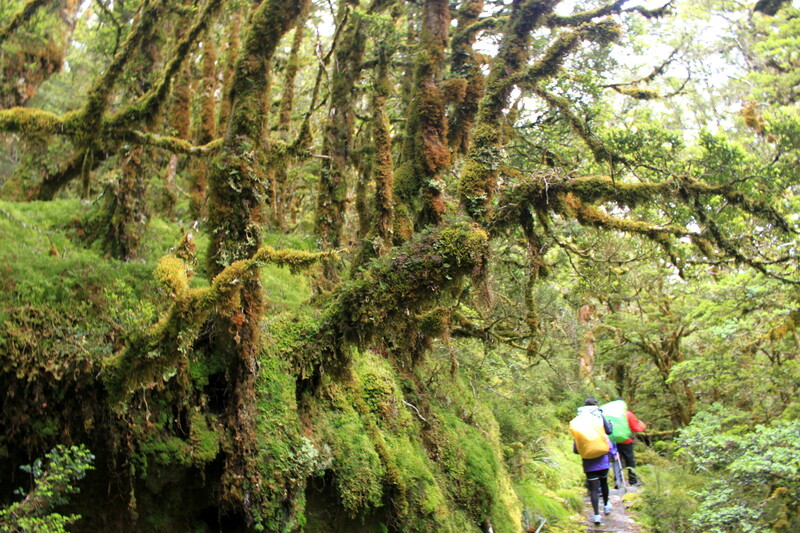 Access to the Routeburn Track is not as tightly controlled as the Milford Track. 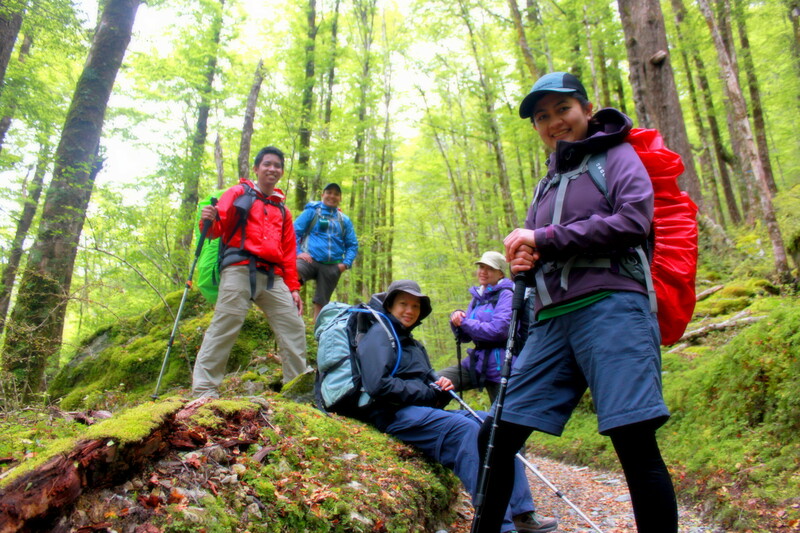 Camping is allowed, though both huts and camping spaces must be booked in advance during peak season. There is a surcharge for non-ticket holders. 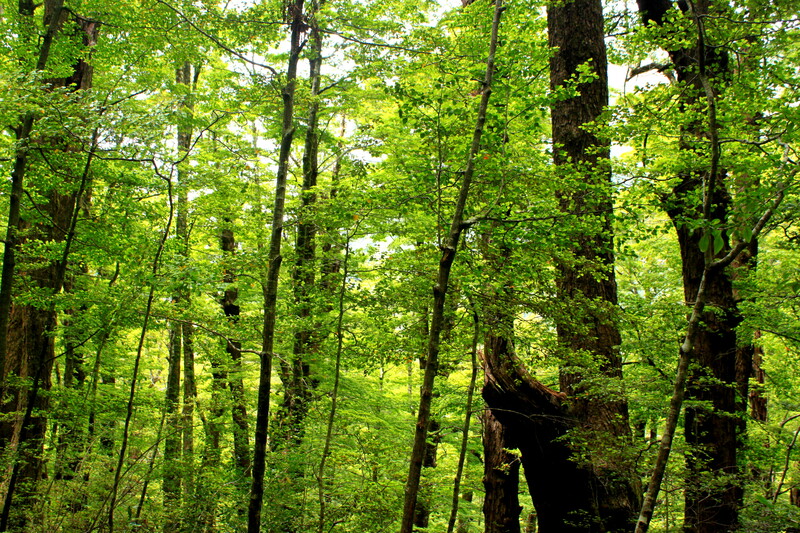 There is a choice of which direction to go, and which huts to stay in. 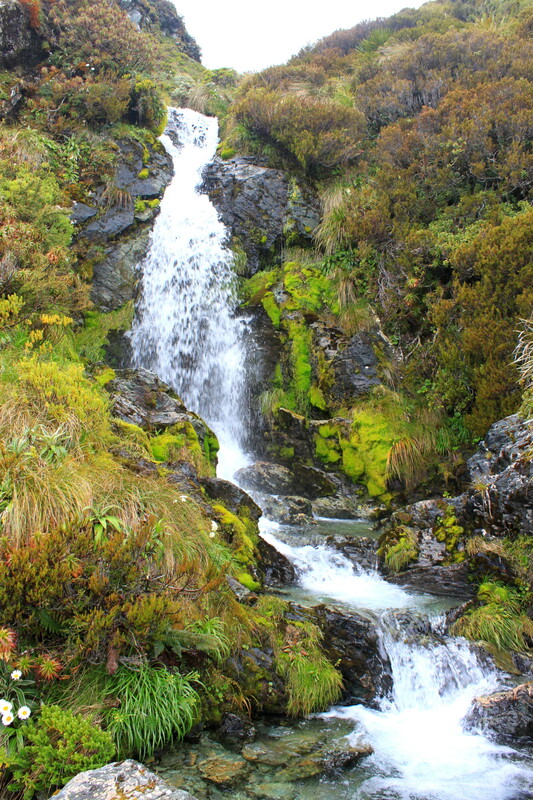 On the western side, almost everyone stays at the Mackenzie Hut, but on the eastern side, one can stay at the Falls Hut or Flats Hut. 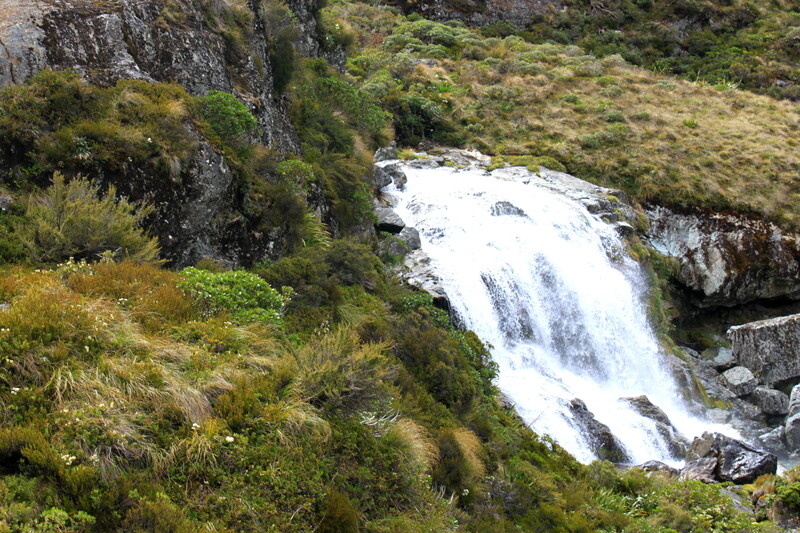 The Falls Hut is more popular, since staying there breaks up the climb to the saddle better, especially coming from the east. Camping is not allowed at Falls Hut. 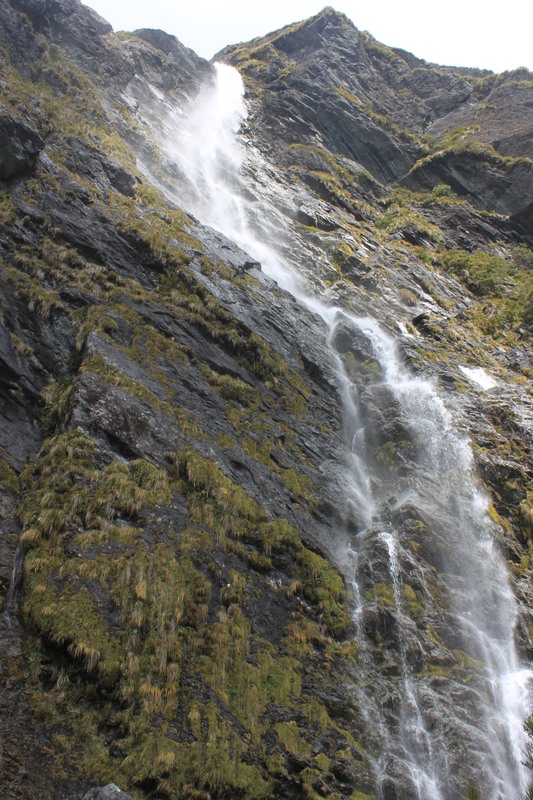 In the winter, the Falls Hut is commonly used as a ski touring base for easy access into the Serpentine Range and beyond. 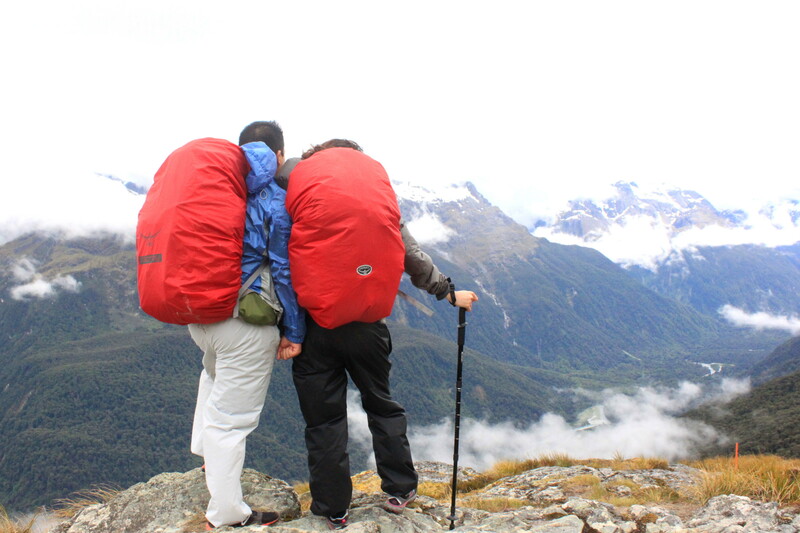 As it is a relatively short track, much of the Routeburn Track is also accessible to day hikers. 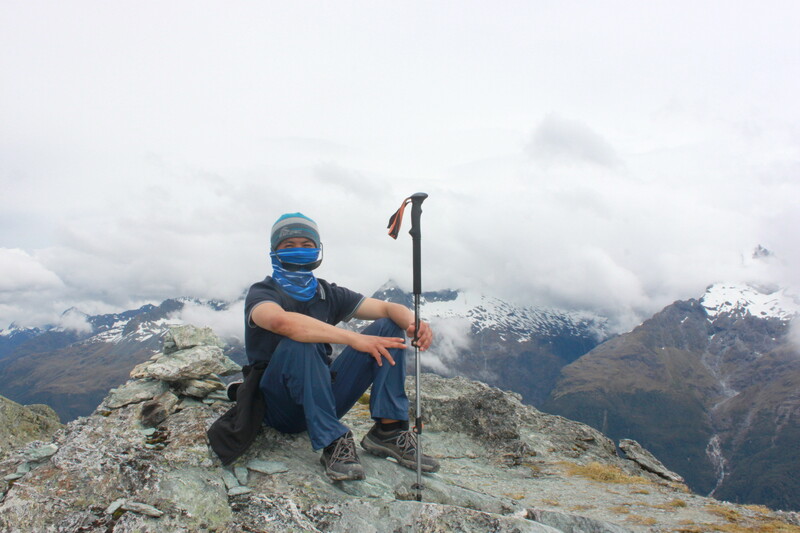 Key Summit (918m), on the western end is the site of a popular viewpoint and nature walk not far from the roadway, and the return to the Routeburn Flats hut are both commonly done in a day. 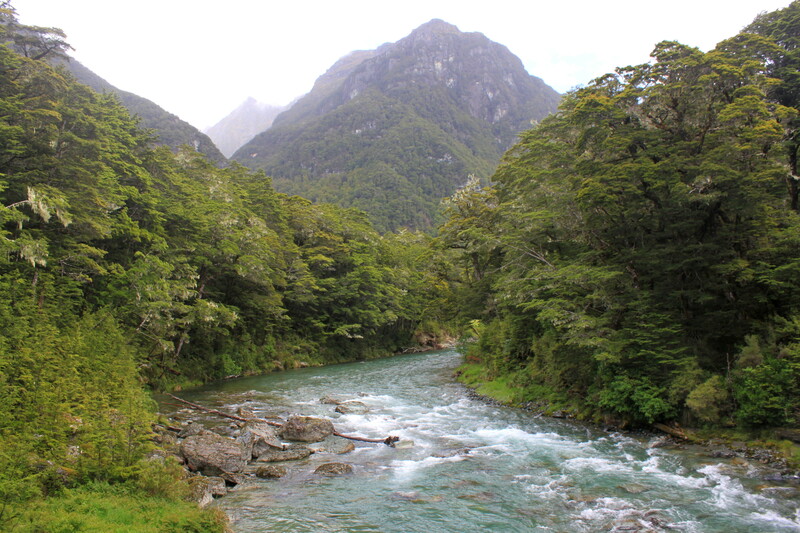 Starting at Routeburn Road end, the track crosses a swing bridge and starts as a gentle sidle up the true left hand side of the Routeburn. 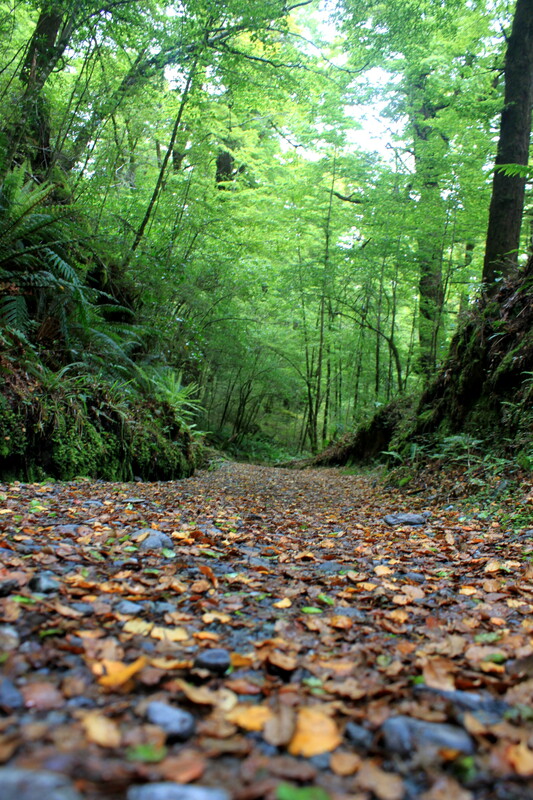 The well graded track crosses sugarloaf stream (start/finish of the classic five pass tramp) and the Bridal Veil waterfall and leads to a steeper climb that goes above the gorge to Forge Flats, the site of an early blacksmith camp. 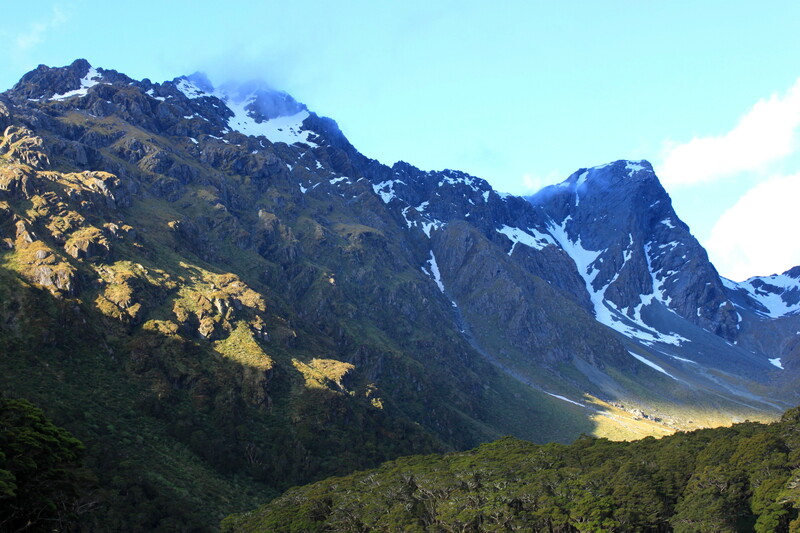 The valley opens up soon after this point, re-crosses the Routeburn and heads towards the Routeburn flats. 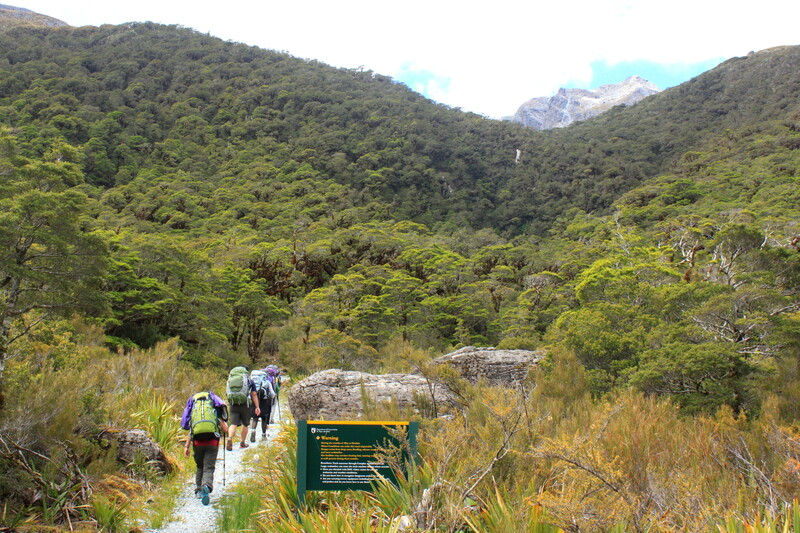 Leaving the Routeburn Flats hut, the track climbs steadily towards the Routeburn falls Hut, passing Eagle Bluff and Emily creek, to the site of a major slip in 1987. 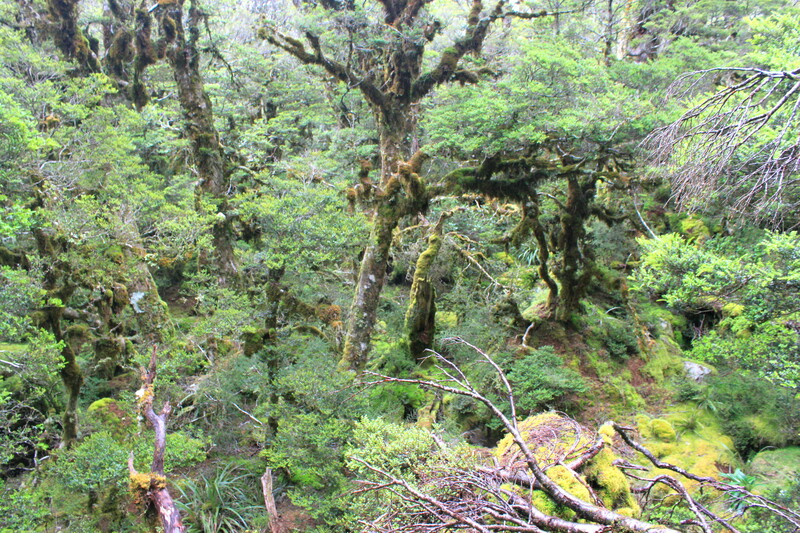 This slip has cleared the beech forest from around the track affording views back down the Routeburn as well as up the Routeburn (north branch) towards Mt. 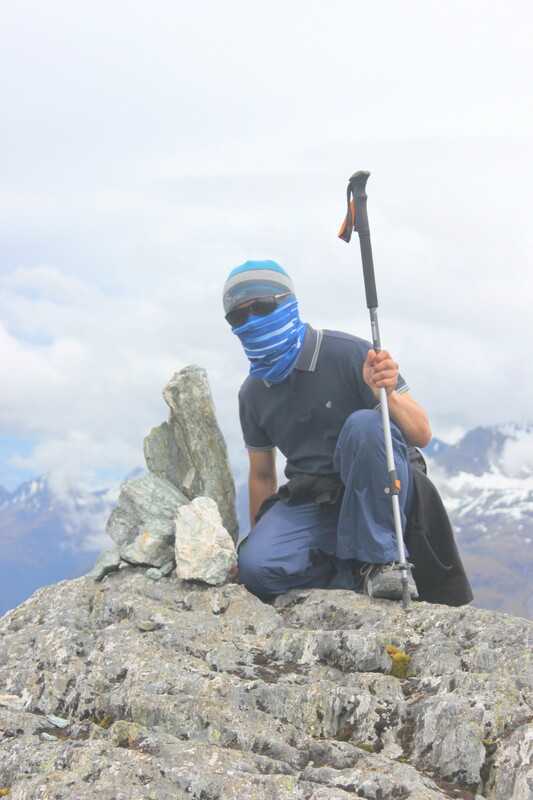 Somnus (2293m) and Mt Momus (2148m). 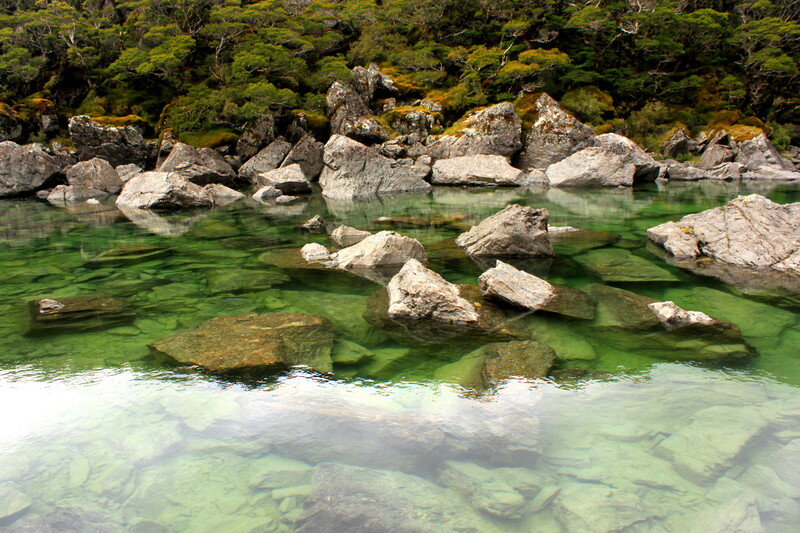 Past the Routeburn Falls hut, the track becomes narrower and more technical as it climbs past Lake Harris. Passing under bluffs as it sidles around Lake Harris there is a view up ‘the valley of trolls’ towards Lake Wilson (the source of the Routeburn) and the Serpentine Range. Above Lake Harris, the track arrives at the Harris shelter. 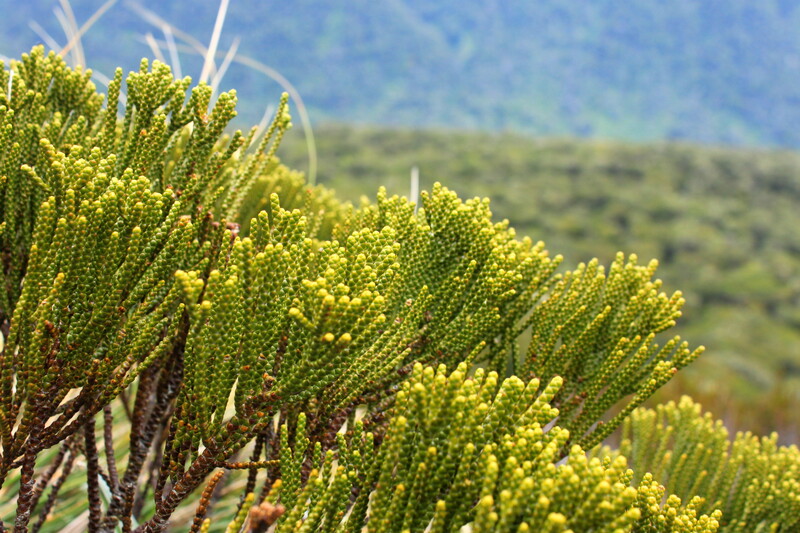 The popular side trip to Conical Hill (1515m) is commonly done from the shelter, and offers a 360 degree view of the area. 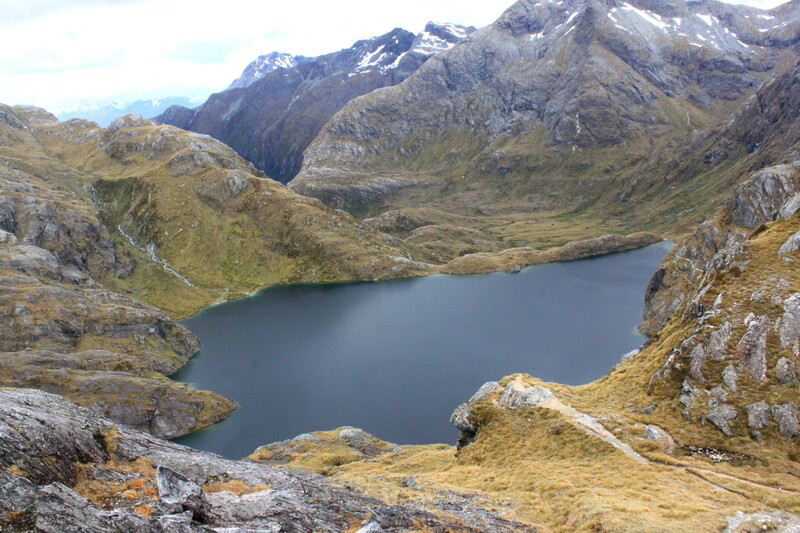 From the saddle (1255m), the track traverses southwards along the Hollyford face, with expansive views out to Martins Bay and the Tasman Sea, before a descent of a steep series of zig-zags to Lake Mackenzie Hut. 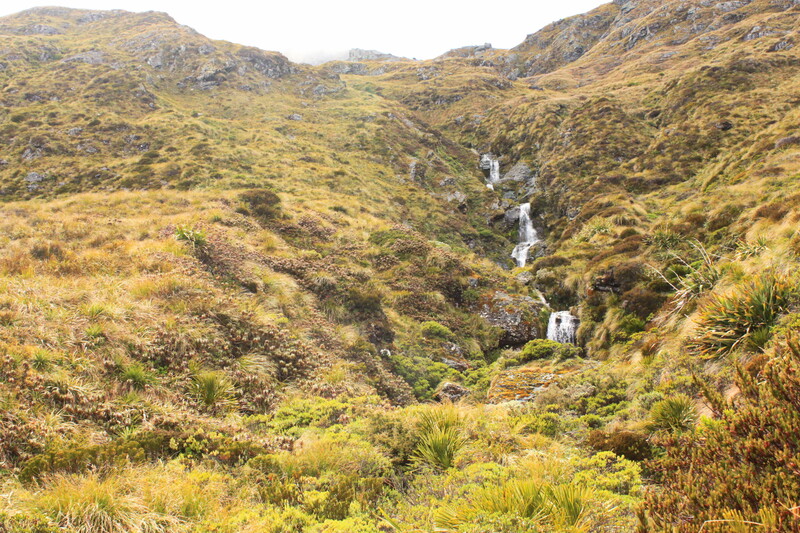 From Lake Mackenzie, the track crosses a small flat before climbing to the bushline. It then gradually descends past the ‘Orchard’, an open grassy area dotted with ribbonwood trees, to the Earland Falls (178m high). The route passes under the falls but in times of heavy flow an alternative route exists dropping below the falls to a small bridge. The track continues its gradual descent down to Howden Hut. 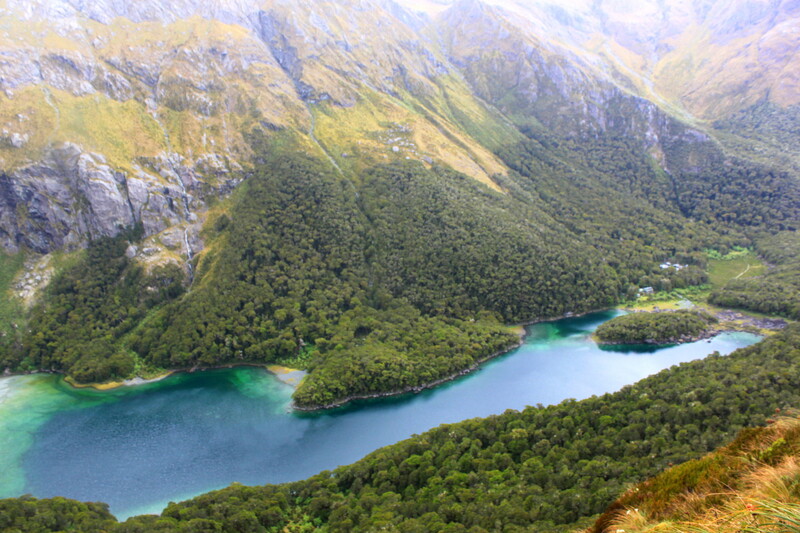 From here the track branches off towards the Caples/Greenstone tracks which create a semi-circuit back towards Glenorchy, the Routeburn continuing past Key Summit to The Divide road end and the end of the track. 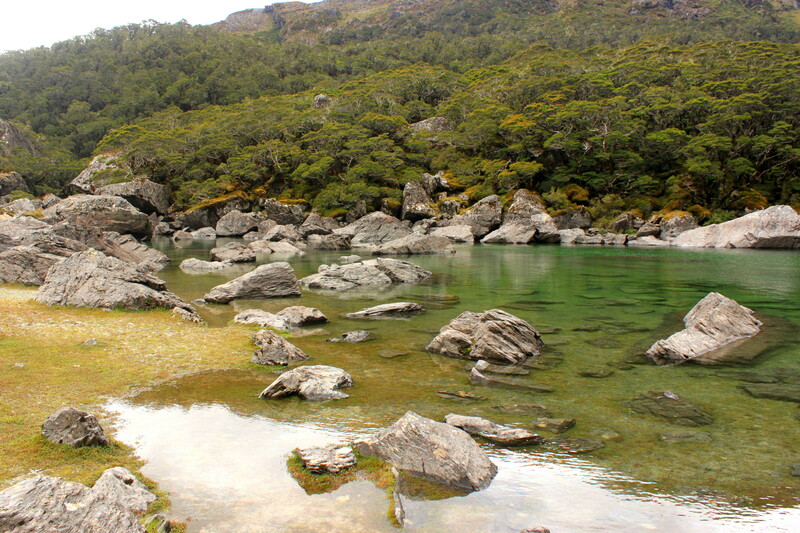 The Routeburn Track was named one of the top eleven trails in the world by the National Geographic Adventure Magazine in May 2005. 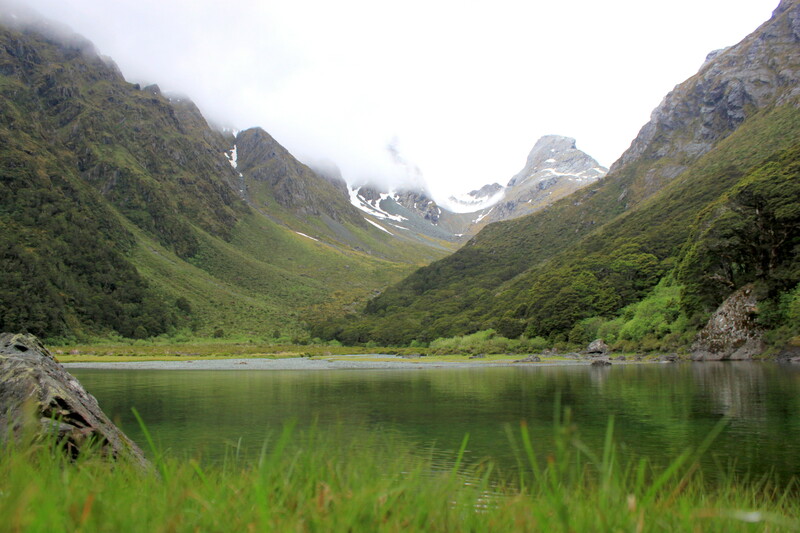 No filming was done for the Lord of the Rings trilogy on the track itself, but the Dart River Valley just north of Glenorchy and before the track starts, was the scene for Isengard. 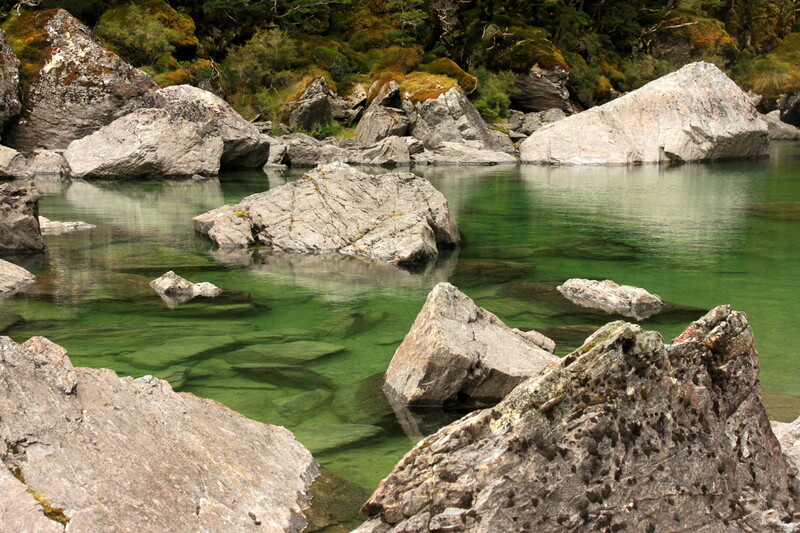 One of Air New Zealand‘s A320 safety videos starred Bear Grylls and the video was filmed on the Routeburn track. 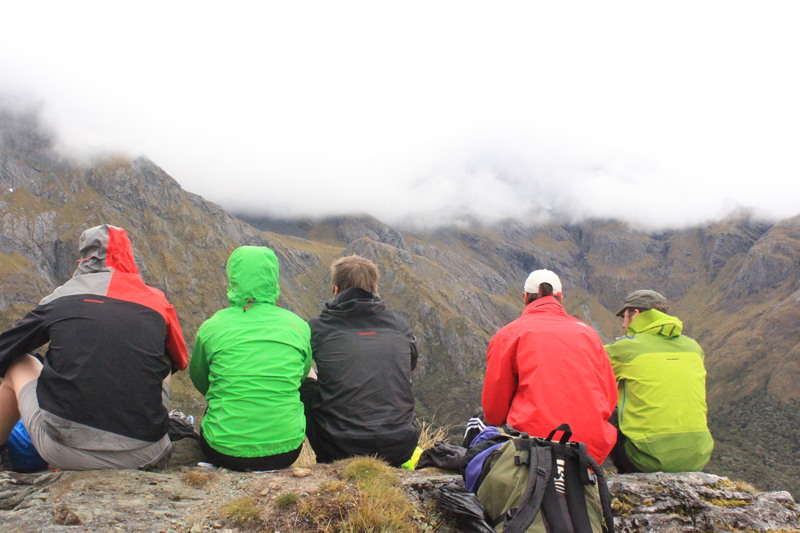 There is an annual mountain run the Routeburn Classic along the Routeburn track (approx 32–38 km) held in April or May each year that is completed in times of 3–9 hours depending on individual ability. Often the fastest runners complete the entire track in under three hours which is impressive considering the average tramper will take about 3 days to walk the same distance.